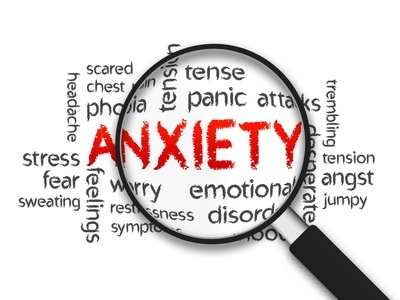 How Can Hypnotherapy Help You Overcome Anxiety? Hypnotherapy is certainly a very effective approach to help you deal with anxiety. The therapeutic effect of entering into the trance state is in and of itself incredibly relaxing and when you are able to achieve both a physical and mental relaxation, it really is very beneficial. As well as this, our sessions are all about moving forward and you will be able to take advantage of a very positive and forward looking therapeutic approach, using a solution focused method of therapy that has helped many others just like you to change their lives for the better. One widely accepted definition of stress is ‘a condition or feeling experienced when a person perceives that demands exceed the personal and social resources the individual is able to mobilize – Richard S Lazarus ’. During your therapy we will aim to focus on how you would like things to be and how you would notice your world without your problems. We will also build and strengthen your resources through carefully constructed suggestions. Using guided imagery you can build on a positive future, imagining things going well. We will reflect on things that are going well and aim to use your strengths and abilities to move forward step by step in the direction you want to go. When we recognise we have all the resources and abilities available to us, we are then in a much more able position to cope with the demands of life and are able top deal with stressful situations far more effectively. You will also be taught self-hypnotic techniques you can use anytime, anywhere and appreciate just how powerful self-hypnosis is, as it will enable you to acheive a deep relaxing state of being and continue to help reduce your stress levels.